What would you show an international visitor to Bendigo if you only had one weekend? Top of the list for Jac Torres-Gomez was the hot jam doughnuts at the Sunday market. “I said you have to eat one and you have to burn your tongue,” says Jac, on introducing German student Chiara Brentrup to the local Sunday tradition. Jac, Bendigo Campus Educational Partnerships Officer, volunteered to host Chiara last weekend as part of the Weekend Break Program offered to international students at La Trobe’s Bundoora campus. 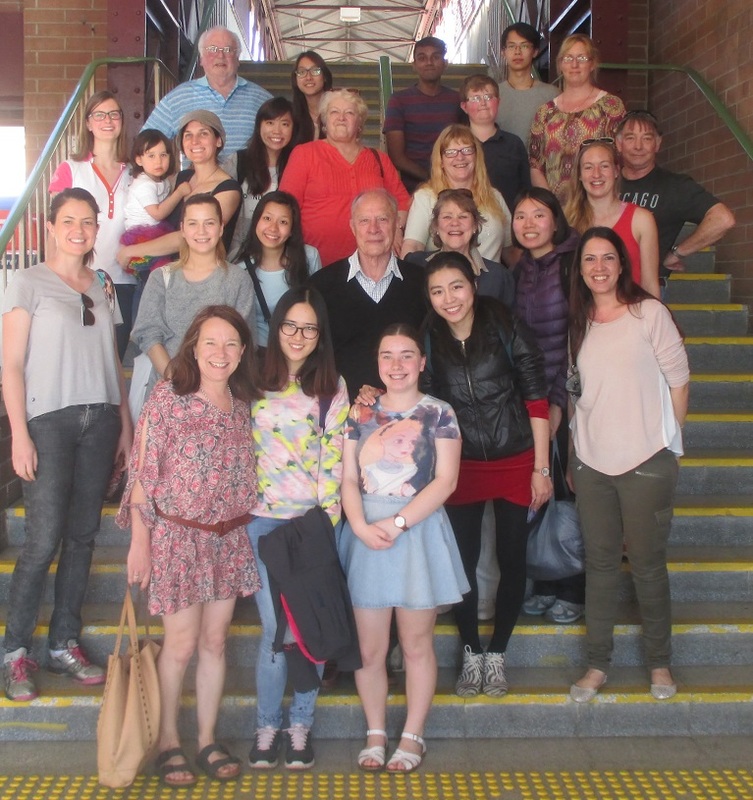 International students meet their host families for the weekend at Bendigo Train Station. The goal is to show the students a slice of regional Victorian life at either the Bendigo or Albury-Wodonga campus. “Chiara had said she had no idea what regional life in Australia was like,” Jac says. “She was going to be in the country for five months and she wanted to experience as much as she could. “When I was in high school my family had Japanese exchange students come and stay, but this is the first time I’d hosted a student as an adult. Jac says they shared a magic weekend of lamington baking, picnicking in Rosalind Park, visiting local markets and a primary school fete. But the highlight happened high above Bendigo. “My dad’s a pilot at the Bendigo Airport. He had a space free over the weekend, so he took her on a flight over Bendigo,” Jac says. Jac says the experience was also rich for her family. “I learnt a lot about Germany,” she says. “I told her we lived in a tiny cottage, but we’d make room and make her feel at home. Chiara said our house was like a mansion in Germany, and that it would be a home for a family of six. Would she host a student again?